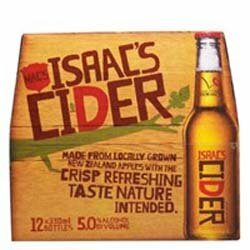 Sir Isaac Newton and Mac’s both have had some brilliant ideas based around apples and this is how Mac’s Isaac Cider got its name. Made from New Zealand grown crisp apples, this is a perfect drink to refresh you on a hot summer’s day. Very fresh taste and just simply amazing! It was nice to drink it again in the UK. BITTER/SWEET REFRESHING/ SMOOTH, TASTES AS MODERN CIDER SHOULD. Normally a Scrumpi drinker but am now converted.